Firstly, we need to remember a successful poem is both an act of communication and a work of art. There is a tension between the point I first heard from John Tranter (“If I wanted to tell you something I’d have sent you a telegram”) and the fact that almost all poems (even the most obscure) are an attempt, in one way or another, to address a putative reader or listener. Desirable or Essential Obscurity. This kind of obscurity is essential to the poetic process. Given poetry’s necessary compression, not everything can or should be spelt out. A poem which attempts to “cover all bases” will, unarguably, be banal. Inevitable Obscurity. This is where the temptation to “lift a footnote into the text” is resisted because the poet knows that doing so would probably spoil the poem by forfeiting its important qualities of compression — and, often, musicality. Poets have to “trust the reader”. More on this later — though we should note in passing that Ezra Pound broke this rule effectively in his Cathay poems from time to time. Obscurity of cultural reference. Nearly all poetry relies on knowledge being taken as given. Poets have to make assumptions about their readers‘ education — which, of course, changes over time. In the nineteenth century and earlier a working familiarity with Greek myths could be taken for granted. Now the Greek gods and heroes have been replaced by elements of popular culture — songs, movies, celebrities, etc. This is not automatically a decline; just a change of circumstances. Google, of course, has cancelled many excuses in this regard — though we should note that an obscure poem which lacks any initial musical attraction is unlikely to be investigated further. We might observe too, in this context, that T.S. Eliot’s “The Waste Land” has become much less obscure over time (and as more work is done on it by successive readers — and scholars). We are no longer troubled by a line or two from a foreign language we don’t know. With Google, the solution is immediately to hand. Syntactical obscurity. This occurs when the poem’s vocabulary and references are relatively simple but the syntax, deliberately, makes for obscurity. Take these two lines from Wallace Stevens’ “Anecdote of the Jar”: “The jar was round upon the ground / And tall and of a port in air”. Perhaps, for some readers, the meaning of that last phrase is resoundingly obvious. I have thought about it for forty years without finding a convincing answer. This does not, however, in any way diminish my delight in the poem. Obscurity for tonal effect. The French Symbolistes, along with the Post-Impressionist painters, were masters of this. Stéphane Mallarmé argued that “Poetry should aspire to the condition of music” — which, in instrumental form, is free of denotative words. It’s a tradition carried on in the later poetry of Wallace Stevens and by the New York poet, John Ashbery. To readers who find it difficult to suppress the denotative in favour of the connotative this can be a problem, even as we admit that poetry’s most important effects flow from the latter rather than the former. In this kind of poetry we often find we are listening to the sound of the syntax or the sigh of the syllables rather than to any point being made about the external world as we know it. It’s pleasurable — but less so over long distances. Accidental obscurity. This happens when poets don’t realise that a word or phrase may be taken in a totally counterproductive or “wrong” way. Politicians (who, in a sense, are amateur poets) often make this mistake with phrases such as “shirt-fronting” or the “right to be a bigot”. The phrase “goes viral” and achieves the opposite of its intention. It’s also possible to use an image which, almost accidentally, may be totally meaningless to the “average reader”. Poets can often benefit from having a firmly-grounded non-poet read their work before sending it out to a publisher. On the other hand we have to agree with T.S. Eliot when he said “There are many ways to interpret my poems; mine are not necessarily the best”. One should never be dogmatic about interpretation. Reckless obscurity. This happens when the poet may detect an obscurity in his or her poem but can’t be bothered tidying it up — or refuses to so. It’s a particular problem with followers of Allen Ginsberg’s maxim, “First thought/best thought”. This not to deny, however, the reality of Wallace Stevens’ distinction between the “poem of the idea” and the “poem of the words”. We’re reminded of Auden’s point that “a poem is never finished; it is only abandoned”. The problem with some poets is that they “abandon” the poem too soon, leaving obscurities that do no one any good. Wilful obscurity. This is where the poet deliberately intends to “shock” the reader by relinquishing traditional syntax and/or playing self-indulgently with the polysemic nature of language along with typography, spelling, punctuation. This is not to attack E.E. Cummings (who is rarely obscure once you get past the typographical hijinks) but it does apply to a significant group of contemporary (mainly young) Australian poets. It’s possible these poets are attempting to suggest complex and elusive meanings that “lurk between the words” and are thus forced to abandon traditional syntax to achieve this. Without foregoing syntax, the Italian “Hermetic” poets had this intention — and were often successful. The best work of Salvatore Quasimodo is an example. Again one has to concede that there is a vibrant, alternative avant garde tradition which has long flowed beside the poetic mainstream. One thinks of the remarkable Canadian experimental poet, Christian Bök. His performances are unforgettably dramatic. 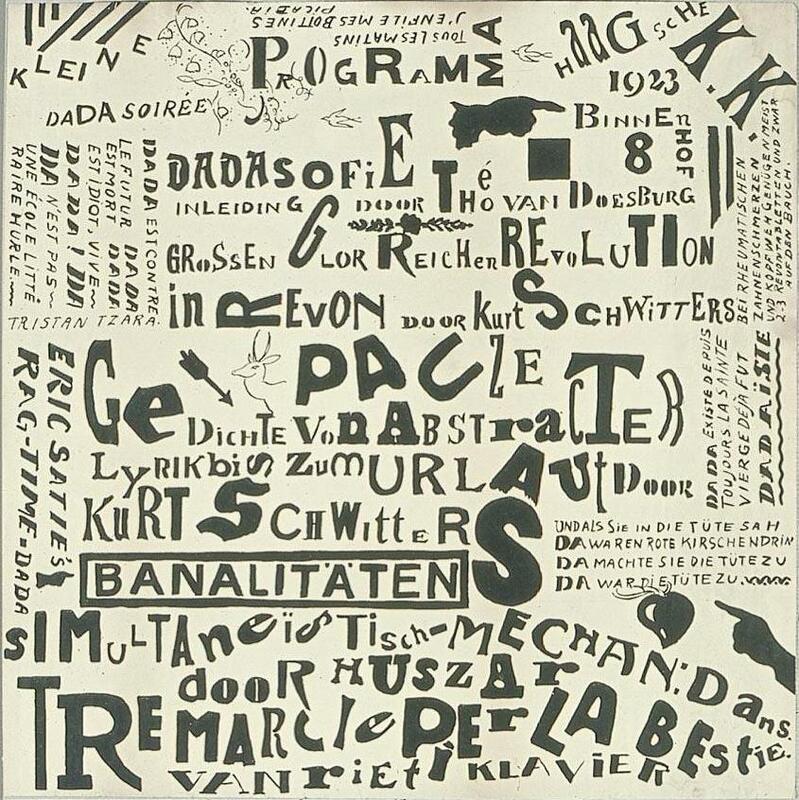 He knows his antecedents in detail, going right back to the dadaist, Kurt Schwitters, and his “Ur Sonata”. Young Australian poets hoping to occupy the space here that Bök fills in Canada would seem to have a lot more work ahead of them. Is it just the jaundice of the ageing to think the avant gardists’ motivations may simply be to render themselves impervious to traditional criticism? Should one resist the fable of the little boy and the naked emperor? What a pity that our naïve young onlooker didn’t yet have the experience to know that the splendid new garments not being worn by the emperor were a hundred years old already. This is an important discussion in the respect that I find at least one of these forms of obscurity necessary to the art of writing poetry. Those of us drawn to poetry as a writing or reading style tend to be those who like to dig beneath the surface of understanding. We want a multifaceted, subjective experience. Thanks for this post! Well done Geoff Page for saying what many think. There are some interesting comments to this article. One person below states that the euro/American style of poetry (read making some sense) is un-Australian (hilarious!). So how can poetry be critiqued when neither the reader or writer understands what the poem means? Is Australian poetry above creating an emotional connection with & for the reader? Or is this an excuse for a lack of talent. Is Australian poetry no longer ‘like a knife fight in a telephone booth’ & instead more like – an ‘elite’ inner love circle of mediocrity? I absolutely agree with you, Gerard – great stuff Southerly – in fact even better than the journal because here it is – the raw, intemperate, madness of the real world (sorry Alan Gould this display of madness is absolutely necessary – it is far from ‘purile’) without being polished up for ‘peer review’. It shows me that the ‘obscurity in poetry’ does in fact reflect the chaos of the post modern world – we have mostly gone mad – we are sexually confused and we believe in things which are not there and did not happen. We have constructed a history which compels us to fear ourselves and we are now afraid to even think freely. Free speech is punished in this post (with name calling and insults) and the obscurity of poetry is like the canary in a mine showing us that the air has become poisoned. this post should be saved for posterity – placed in a long thin frame and displayed in the National Gallery of Art. thank you moderators, thank you Southerly. “One should never be dogmatic about interpretation”………………..really. “The present crop of Australian avantgardists” consists of one Michael Farrell? This is undergraduate stuff; barely an argument or even a view unless it can present more evidence or material for discussion than that. Moreover, Page’s notion of what an Australian avant-garde could be is itself jaundiced and ageing. I think the late Martin Harrison said it best, in a recently republished interview with Adam Aitken: “is this the place for the avant-garde, or is this anything other than a foreign idea … that has detracted attention to what the construction of a local poetics is all about”? We don’t need an 8-point plan of Euro-American modernism to explore what language has, might, could and will do in Australia. What is ‘the construction of a local poetics all about’ Bonny? Who constructs it? – the Oz Council? or the editors of university based lit mags? with all their ideological assumptions and little knowledge of ordinary Australia. If poetry remains the property of the code breakers the people will not read it … and guess what ? The irony of poets squabbling about obscurity. I would have thought, if Geoff P was seeking an enlightening example of his somewhat dubious argument, that Michael’s work is less obscure than many of his contemporaries. Go Cats!! There is little doubt that ‘obscurity’ can become a badge of honour – an arrogance – a conceit – a folly. Take Gig Ryan or Emma Lew for example – some great one liners but no cigar. It seems to be more of an Overland issue than a Quadrant one. Page is cited in the ABR referencing an old homophobic joke in order to argue in favour of clarity, quality and accessibility in what what he calls the ‘reader friendly’ poem. So let’s read this frankly ancient polemic against obscurity for what it is: a dismissal of anything other than the straight, family-friendly, genealogically-correct (due service to predecessors) poetry of the male canonical fantasy. so if the poem is not written for the reader (thus ‘reader friendly’) who is it written for? Sorry, your sentencing is so bad I’m not sure if you are accusing Geoff Page of being a homophobe or of being clear and accessible ? Hey Wildog, guess your parents were into quirky names. Good for them. The problem here is that Geoff waffles on about obscurity, singles out Michael as some kind of young turk (which he’s not — he’s nearly 50) with obscurity issues, provides a few lines of a poem as evidence, and basically fails dismally to support his contention about a generation of innovative Aus. poets). Which is pretty piss poor. If you’re going to lay charges then make a case. Geoff’s effort here wouldn’t stand up in a kangaroo court. So things here are getting a little heated. While we love thoughtful discussion, we absolutely do not condone personal attacks. Writers are invited to blog here as our guests, and we would like to have them treated as such. Any Pagean reading of my post would agree that I was being civil (on the poets own terms – i.e. wasn’t referring to things outside his comprehension) so why hasn’t my post been allowed? Additionally, it is an extensive engagement with the post, not an insubstantial instance of trolling. There is no reason not to allow it – even the ‘personal attacks’ are argumentatively justified. Your comment has been passed to the editors. It may or may not be approved in the near future. So the editors allow whoever posted this to post it, but now that numerous people have pointed out its racist, homophobic, sexist undertone we need to ‘review’ the posts. For ‘civility”s case, of course. Who would imagine that a man who explicitly defends Tony Abbott would be a racist homophobe? Fair enough, and point taken. ‘Piss poor’ was unkind. ‘Unfortunate’ perhaps? Apologies to Geoff and other readers. Yet the example he provides has the title ‘Open Sesame’ (appropriately) and is written by Michael Farrell and is a fair example of obscurity in Poetry. Michael Farrell wrote it and published it into the public arena and must accept responsibility for it. Its not just ‘dense’ or ‘difficult’ – its probably not even ‘code’ – Jazz Duke performed Dadaist poetry thirty years ago and allowed the audience/reader in. There’s something approaching intellectual vanity – entitlement – elitism in Farrell’s (Lew/ Ryan) disregard for the reader that grates. Page provides his own clear and detailed reasons for his critique of Farrell. Are poets so precious that they are above criticism? Must you defend him because he is your friend? Is it like barracking for Collingwood?Go Hawks. My post still hasn’t been approved. It’s embarrassing to have to post about this. Surely, when a reasonable, if polemical, post is made there’s no reason to ‘consult editors’. I don’t really see the difference between my post and posts by Bonny and Astrid, except that I chose to be rude. All three pursue the same argument. All I added was that Page’s writing is hostile to so many people (especially women and people of colour) and that maybe that hostility (already present) should maybe responded to kind. Your decision to be rude is the reason I flagged your comment. When I hear what the editors say, I’ll either post it or not. But it’s 10:30 at night and unlikely that I’ll hear anything before tomorrow. Gosh, the commenting community here is not precisely what you would call friendly, is it. Oh well, at least no-one has yet started throwing National Union of Students style shade about who is more middle class than whom. Hi wildog, I can’t imagine that Harrison intended to imply any “constructors” other than the only ones there really are: the writers and readers of poems. This steers us around to Belinda’s question about responsibility for meaning. If the poet offers a gesture such as “fullerton”, which Farrell does in the title of the poem quoted by Page, then we readers might take responsibility (if we’re interested, of course) in finding out how that gesture leads us back into the poem. In this case, it leads us to the poem’s engagement with another local poetic voice and the ways that voice might be newly constructed. Should I need a PhD to track down Farrell’s ‘gesture’ to ‘take responsibility’ (‘…if we’re interested, of course’) to follow the obscure goose chase to ‘fullerton’ – as if I am doing a mega crossword puzzle to prove to myself that I am not stupid. Or to allow him to ‘seem’ to be intelligent. If this shows how ‘voice might be newly constructed’ – the ordinary people will be struck dumb.This conceit is an insult to poetry. What the academy, the Oz Council and the other NSW based gatekeepers define as ‘poetry’ is based more around ‘race’ and ‘gender’ than it is around genuine problem solving, inspiring, insight into the collision of earth and world. The general case that piques me is of the obscure or illegible poem for which the poet denies intentionality. It came up for me recently in the New Yorker poetry podcast (http://www.newyorker.com/books/page-turner/poetry-podcast-michael-dickman-reads-ellen-bryant-voigt) when the editor asked Michael Dickman why he wrote an illegible (to me, and perhaps also to the editor) line, and Dickman said flatly that he didn’t know, and generally never knows. This provokes me – I feel as though in this case the poet might as well have written at random (which is a form of postmodern poetry that is actually practiced, I know – but not one in which I’m interested – and its practitioners would normally own up to it up-front). My mental model of my own work is that it’s an act of sociable communication with a stranger – and I would feel it was contemptuous to be intentionally obscure. Clearly people who write obscure poetry, and people who enjoy reading it, have a different stance. I am trying to find a way into what is going on there. Since I am pretty puzzled by it (short of supernatural explanations, how can you deny you intended to write something? Etc.) there seems to be something to be learned there. Whether one is for or against the idea that ‘artistic aptitude’ is innate or taught … be it engaging with a base instrumental device like a piano to produce music, manipulating milled wheat to make bread, or mixing oils to produce a painting … all require a learning, honing, and developing process from the outset of an artist’s career. Writing is no different, but it has a unique quality that other art forms cannot trace their practice back to. The very root of writing goes back to language acquisition itself as a toddler, and this remains a baffling mystery of the human condition, exactly how this happens. And why. There are umpteen theories. The limbic system, one of the most archaic complexes in the human, is responsible for this. Language, and the symbols we have devised to represent its utterances, is so deeply ingrained in humans that it’s very difficult, and perhaps appealing only to some, to wilfully lurch out of its ‘natural’ flow and into something else. In so doing this, obfuscating, abstracting, experimenting in a certain deconstruction and subsequent reconstruction of what is ingrained in a human as comprehensible language, scares or bristles some readers. The stripping of language back beyond a widely-read communicative device seems taboo, yes. One is unravelling the sacred in a way. It’s scary. But I also find it a thrilling way to experience language and sound often … but not always. I have stood in front of Rothko paintings and felt incredibly moved at the power of colour and intensity. I don’t require a painting to be a murderous Goya or treacle-esque Rembrandt or austere field with barn Wyeth-style, where there is clearly a gleanable ‘story’. Both pursuits work. And while I don’t have a particular affinity for Gaudí’s buildings and their exterior presentation, many people do. Too, I enjoy Miles Davis a great deal when he utterly wigs and an extemporaneous barrage comes out of his playing. I actively enjoy that more than listening to somebody play scales on a flute, or any instrument. I don’t mind (though don’t feel compelled to conform to) Page proffering a taxonomy of obscurity. But I am puzzled at his summary dismissal in this post of a great deal of writing more abstract than he. Page is a self-appointed (and I think with arguable merit) a jazz aficionado. I don’t know what his tastes in jazz are, but I do know in the vast galaxy of that which is deemed a ‘jazz’ appellation, abstraction and rule-breaking are commonplace, if not tenets across the board … and, yes, in addition to a great many rigid rules. This is innovation. Thanks for your reply, Kent. I suppose I do like abstract visual art and don’t require it to be decodable into some underlying realist paradigm; on the other hand, I loathe jazz. This doesn’t seem to unlock ostensibly-illegible poetry for me, though. I am pomo enough that I don’t really believe that taste or merit have intrinsic reality, but it is very hard to know what to replace them with. One feels one should try to explore broader country than one’s instinctive preference (for me, the lyric mode), but what is the way in? It’s a frustration to me that asking for help with less straightforwardly legible work so often meets a defensive, or even contemptuous, response. Farrell’s poems frequently stage master/slave situations and ask if there might be alternative ways of encountering others. The universality of such dramatisations would be painfully clear to all of us, I would think. It’s interesting to see some of the comments here calling for the poem to be accountable, to explain its whereabouts. Others seem to want to be mastered by it. As the comments show, just because you think you don’t understand poetry, doesn’t mean it’s not working on you. As for Page’s instructions, it’s understandable that he should choose to be thoroughly mastered by Farrell in this situation. But why only one master? Hi Fiona, could you perhaps clarify what you mean by all of that? Cos I have no idea what you mean. The universality of such dramatisations got lost in my potatoes. Geoff, I think I’m a young poet and I like Stevens, Auden, Eliot, Schwitters, but they are not my fathers, unless you know something I don’t know. More relevantly, do I need to adopt them as my fathers to stop being naive? Geoff, why are all your models of history, of verse, of language, of semantics, white and male? Geoff, why don’t you see the youth in history? Why have you cut us out of history? Geoff, didn’t you know that you are wearing the self-appointed Emperor-critic’s new clothes? Geoff, why is that which you don’t understand Dada? And why is Dada okay if it knows it’s Dada? Where can I get my shibboleth to cross the river to you? Geoff, by what gauge can I age out of obscurity, like Eliot did? Geoff, I want to be brought up to date to what the real present is, my fellow youth are apparently blinding me to my own old-fashioned truth. Geoff, I want to be a year-old and one-hundred years old. Geoff, I want to be eternal and inchoate. Geoff, where is your love of the general reader? As I understand them, the general reader does not make these distinctions and loves reading where they are drawn generally. Geoff, don’t assign a Canadian, American, or British space to those who have lived in Cherbourg, Fitzroy, Darlington, Hobart, or Antarctica. I have not even begun talking about the multicultural. Geoff, I also find the non-reader of poetry helpful before I send work to the publisher: stones, the dead, trees, cats, the camera. They have been my best guides so far. Geoff, my young friends think Eliot is boring and Forbes and Duke and Lew and Ryan are more interesting. Is this reckless? Geoff, you have drawn a line between the general reader and the naive reader. For me, this is confusing. What prior knowledge does the general reader have that the naive reader doesn’t? Geoff, I look forward to these issues being cleared up. Felicity and mutual development in the conversation and for Australian poetry can’t really be had before you help me with them. Yes, I took a look at that Southerly site when you first posted it, and another look now. How puerile it is! How diagnostic of an education that has migrated from a training in thinking to a curriculum of affective reactions! And with all their trite epithets – age-ism, homophobe, “Geoff why are you personally oppressing me?” etc, how simple is the ideal solution, that they all be removed to another planet rather than that they form what I fear they are, our Future. Why are they Future? Because they are numerous and, alas, younger than us. Because Facebook and Outfacebook, and Twittery Convenience provide and incite their reactive behaviour that allows no respite for consideration, but rather resembles the chimp frenzies of the Cameroon forest in its essentially territorial anxieties (utterance being, in every sense of the word a modern equivalent to territory, and the aggression of these posts obvious to anyone with an ear for tone. Geoff, I think your piece on obscurity was genial, but needed to engage the issue with more penetration. I think the jabber that has followed it is stupid and hideous and without utility. I’m dismayed that Southerly can take the time to monitor this potsch (tailings from opal mining) while taking so long to process material sent for consideration at their journal. Shall I post this on their ‘blog’, or does the word ‘blog’ itself suggest the calibre of discourse likely to be attracted to it? why does any of the above merit consideration in a literary culture where thinking and feeling have been so broadly, so exquisitely communicated in Ozlit and in the wider world of english-speaking letters? Hi Alan, I’m not sure if anyone else will be game to try to explain this gently enough that you’ll be able to hear it, so I’ll have a crack. It’s really ill-advised as a white man to call other people monkeys. It evokes white-supremacist discourse that makes you sound like a nineteenth century colonialist who thinks he’s entitled to shoot the natives. While undoubtedly people who do not argue in the way we prefer are very annoying, calling them non-people in such a historically charged way lowers the rhetorical standard rather than raising it. He waits for the rain. it seems like people are spending a lot of energy in repeating, “things that are meaningless to me are meaningless to me.” if You approach a “Poem” with the basically hostile attitude that “this “poem” ought to give me something, and if it doesn’t, then It (or its author) is some kind of recalcitrant Good-for-Nothing” – and if you then go on to read it while holding on to that attitude (and perhaps precisely in order to reaffirm it), and it doesn’t stand up and bark like a good dog in the voice of rudyard kipling, (or whoever), with the right combination of truth and beauty that you already anticipated measuring, then – YOU’RE GETTING EXACTLY WHAT YOU PAID FOR. if you’re just reading poetry to confirm your own prejudices, “worldview”, or bullet-pointed conceptual schema, what’s the point? and if you read something and don’t like it or don’t “get” anything from it, but can’t really articulate why that might be the case (apart from quoting one fragment and saying something like “it’s hard to be sure” what it means, or taking swipes at your imaginary version of allen ginsberg or gig ryan’s poetics, which you also can’t articulate), why should anyone else be interested in reading about that? For these reasons, this article is an irritatingly reverent and uninsightful reading of Stevens, Bok, and Schwitters, in particular. Commentators that support it might be more illuminating if they spoke less about outside subjects and dealt properly with criticisms of the article on their terms. Gould’s messianic youth-as-oblivion diatribe should indicate to what extent it is precisely not aesthetics and utility which are being substantiated by this article, but instead, as Bonny Cassidy and Astrid Lorange have pointed out, a model of reverence for patrilineage and the canonical. And it’s very convenient to this kind of point of view that all aesthetic commentary since those vague celebrations of drama and music are suddenly academic. No. There has been a hundred years of poetics and aesthetic theorisation of poetry since the total art of Wagner and the Symbolist reactions to it in their visionary dramaturgy of closet drama (see Puchner), which was essentially poets making poor theatre, and I would like to simplify the aesthetic questions of ideological support for Page by replying with the name John Cage. Then read the contemporary accounts of Mallarme, which essentially do not see the gulf between Symbolism and experimentalism given here. Finally, the “music” of poetry that I happen to like has resemblances to Ligeti, Penderecki, Presley, Minaj, O. Coleman, Sondheim, S. Bradley, and Ennio Morricone. These are musical models since the parallelism of music with harmony, some canonical to different traditions, some not. such trenchant and passionate defence of obscurity ? seems to have hit a note or a nerve – has poetry died somewhere near the great divide? ..so trenchant, that some are prepared to attack the messenger as a homophobe? or a racist? without one letter of evidence? (I have read the poems of murderers and they were very good)) Yes this is the nastiness I remember that killed the poem for me as it marched of arrogantly into obscurity. An Australian canon? this is it. This is so interesting. Page and his supporters emerge in preposterous confirmation that one subject and one subject only, postmodern or new or young or avantgarde poetry, is being talked about. They demand that a nebula – it can only be read as a nebula, a fog, a fantasy, I mean, why is everyone who doesn’t write in ways that Page sanctions a vanguardist? – qualify itself by ‘drama’ and ‘music’. Where’s poetry in all this? Where is the aesthetic ground? It doesn’t take Sherlockian deduction to smell the beef of irrational and contemptuous reactionary criticism. We understand, Alan (“member of The Literature Board of the Australian Council”, 2002–2006), your barely coded linkage of a peopled multitude with ‘chimps’ whose ‘utterances’ do not meet your criteria for language, and we are grateful that, following Professor Barry Spurr, proto-facists will now post their own private correspondences demonstrating blanket revulsion with those of us interested in dismantling “trite” and “puerile” homophobia, misogyny, and racial hatred. To be very clear–in no sense is ‘the youth’ represented within this discussion as it stands; if the racist patriarchy that makes up our national poetic institutions bristles at being called out for their proudly articulated sense of white superiority, I literally cannot wait for them to meet actual young people. Good luck with whatever fantasy ‘legacy’ you have pleasured yourselves to these past decades while reciting lists of dead men to people who aren’t listening. …yet the phenomenology of Farrell’s perception and imagery of a reality (…and of Fullerton’s tragedy) are unavailable to the heterosexual male. The art has become ‘fraudulent’ (under Cavell’s definition) as it lacks ‘intentionality’ (or integrity) – the action is now between the poem and the reader, rather than between the poet and the poem It is ‘theatrical’ and its meaning is dependant upon the reader reading it (… and importantly, their sexuality). It would seem churlish to condemn a straight reader for not picking up Gay code. Mate I was sympathetic to you upthread – I don’t think the general audience for poetry should be abandoned, though I also think it’s fine that some poems are for specialist readers – but what on earth is this comment? Pretty sure a gay man and/or queers in general are not persecuting you because you don’t like his poems. Also pretty sure there is nothing intellectually intrinsic about sexuality… I am pretty queer and I am sure you can understand me well enough to be going on with. Gay culture (including poetry) seems to me to be ‘exclusive’ by its very nature. The rest of us, who are not blessed, are required (by law and lore) to be ‘inclusive’. I didn’t think I was being intemperate, but I suppose it’s always in the eye of the beholder. Do you really view your own way of speaking here as temperate? My feeling is that Farrell’s gayness is overstressed in this discussion (including by you), given the primary reason people can’t follow him is that he doesn’t use syntax in a normally legible way. You might find that lots of people out there in the world are gay who are otherwise very much like you. I can’t follow your last paragraph at all, sorry, unless it means you think my two comments are at odds with each other? It’s maybe just that my position is not highly polemicised. Sorry to take so long to get back to you. I seem to have accrued quite a criminal record since posting my email consolation to Geoff for the unfair, and in some cases vicious responses his piece on Obscurity attracted. Shooter of natives, proto-fascist, trala la. With regard to those Cameroon chimps – made known to us all by Attenborough’s memorable program, My word was ‘resemble’ which is distinct from asserting that two things are identical. I can see you already know that in having me resemble a 19th Century fellow with musket. Yes, I know all about discourse, having been an activist in the Land Rights movement of late ’60’s/early ’70’s, as well as the Vietnam and conscription protests of the same era. I suppose, like you, I have a little of the 19th Century attitudinl matrix in me because we read and both have projective imagination. I’ve never fired a musket, though am game to try. It is unlikely my yeoman and peasant Somerset ancestors ever shot at Indigenous Australians, for no-one in the family left England’s shores until I came here with my father in 1966. So that ‘resemblance’ in my case is a slender one. The spite, accusation, misprision that came down around Geoff’s head upon the appearance of his, alas, rather flat discourse on obscurity, however, was in its unwarranted ferocity, in need of a sharp simile in order to highlight its parts of nastiness, and the seeming frenzy with which post followed post. So I reckon jabber was a fair term for it, callow was undoubtedly the quality of its thinking, the chimp frenzy of a cameroon forest ding-dong was a fair simile, and the fact that it was framed as a likeness, not an equivalent, makes, I reckon, your patronising warning to me about discourses spurious. I know that the Macquarie has not yet listed it (even spellcheck will not let me type it), yet there are important differences. It is essential that we battle even these small irritants if we are to find our way back to sanity. You are writing a poem when your hand slips, and instead of typing “tone,” you type “note.” Suddenly the whole poem makes sense. The poem resonates with newfound clarity. Thank divinity for that accident! Imagine for a moment you a psychoanalyst reading a poem by one of your patients. The poem starts in standard rhyming couplets, but then, suddenly, it begins to break into stream-of-consciousness! God forbid! The narrative is lost, the words meander, the reader is cast into a lava-like mess of language. But ah, you aren’t any old reader: you’re a psychoanalyst! Wading through the thicket of strange and indecipherable language, the patient seems to be speaking in a kind of glossolalia, with words like “spoon,” “take,” “give,” “go,” and “hurt” strewn across the page. Finally, it is revealed to you quite clearly that it was their mother who took the spoon away from them when they were six. You don’t believe in cultural poetics, nor that socially-mandated discourses exist in poetry. You believe the poem is pure. Like New Criticism. But you’re actually a SLAM poet! You are convinced that the language you use is more “human” than all those “academic” poets who play with language. You speak directly to the heart. Of course, you have some suspicion that the language you use is part of a system of discourses in your social network, but no, it’s pure! It’s poetry! It’s expression! It’s personal! Don’t question my poetry! It’s straight from the heart! You can’t explain it! No paratext, please! You are a poet who secretly admires Ern Malley, but refer to that poet as the “Urn’s Malaise.” You want to pass through modernism and “Dada” but you can’t. It’s too hard. Too risky. You know it won’t make you popular or publishable. So you start writing boring lyric poems that are sort of in free verse and say mysterious things about looking in a mirror or at a star and finding your inner self, in nature. You reinterpret every century up to and including the 19th century as capital-R “Romantic,” pure and simple, and say we should all go back to it, just to be safe. You become a famous poet! Of the kind sometimes practiced by Michael Farrell. Breaking down words into tinier and tinier segments, with line-breaks, crypt-words, and unconventional syntactic arrangements. But in doing so, getting to the roots of words, inside words and even inside letters, you start seeing the stark clarity of signifiers in their sparkling glint on the page. But you don’t stop at letters. You start burrowing down even further, into shards of punctuation, estranging diacritical elements from their place beside words. Ah , Michael ! You are a conceptual poet. You want the clarity of thought but without bothering with lexical segmentivities like those Language Writers. So you begin moving large chunks of language around on digital platforms. You begin to see how information works, even though most people have no idea what you’re doing. Though people think your work is extremely “boring,” “too long” and “insufferable,” you have to follow through with what you do in order to find conceptual clarity in your treatment of language as information. You are a nature poet of the not-yet de-colonizing kind, because you don’t like reading about ecology. You are here (subject) looking through a window at nature out there (object), in a simple subject-object phenomenological relation that allows you to (eventually) find yourself. You want to express something about that tree. But instead of saying “selected x tree burns outh th silted dust,” (which means something very precise to you as a poet), you want clarity for the readers, so you instead say: “That tree means something to me/I see myself/in its branches.” You do this to offer your readers clarity, but unfortunately in the process of offering readers clarity you have to sacrifice that other clarity: of the relation of your formal writing practice to the natural world. Oh well. You are a procedural poet who uses chance-operations and indeterminacy as procedures to generate poetry that is often quite disjunctive and “unreadable.” Nonetheless, you invent a procedure that allows you to work on source-texts with greater accuracy, invention, and clarity. Obscurator, you win! You may start setting the exam immediately!